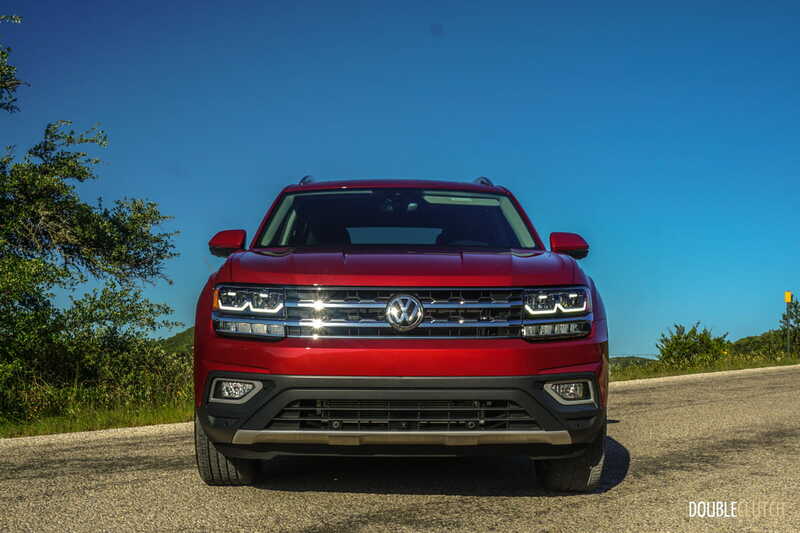 Most buyers in Canada will want all-wheel-drive on their crossover, which is where the 3.6L VR6 engine comes in. 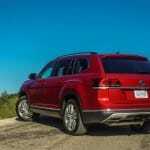 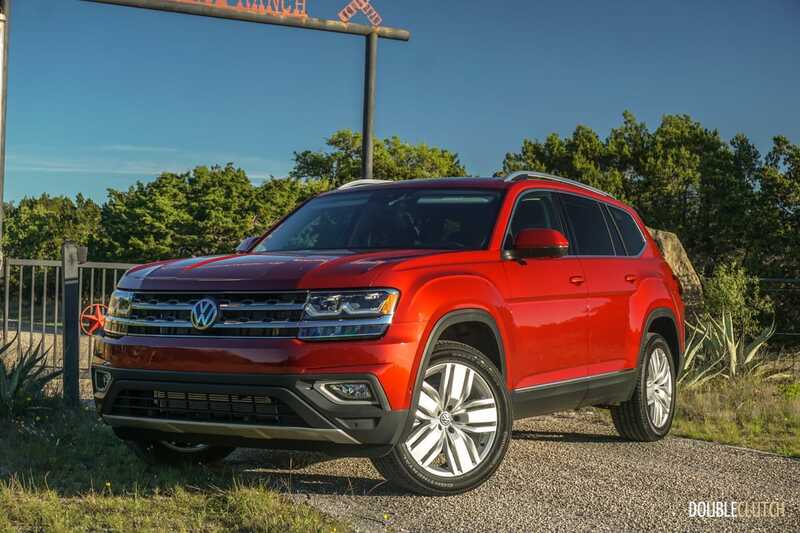 SAN ANTONIO, TEXAS – It’s about time Volkswagen got into the family crossover game. 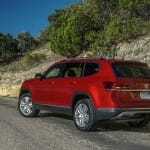 This is a segment in which vehicles like the Honda Pilot (reviewed here) and Toyota Highlander currently reign, and most major manufacturers already have established entries that sell in herds. 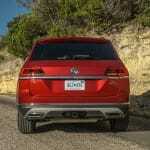 The only SUV/crossover that Volkswagen has sold in North America up until now is the Touareg, which is more of a premium model and doesn’t sell to the masses. 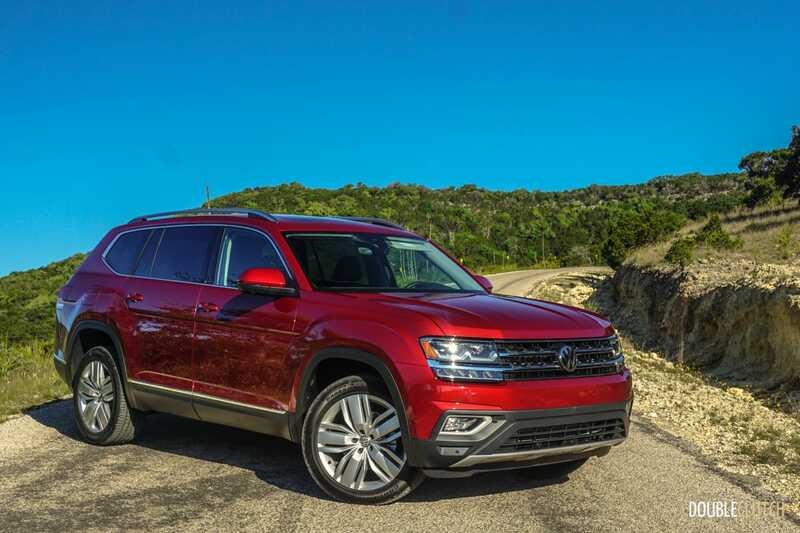 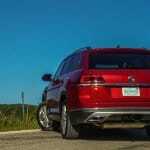 We were invited to San Antonio, Texas to sample the all-new 2018 Volkswagen Atlas, the first-ever three-row crossover by VW. 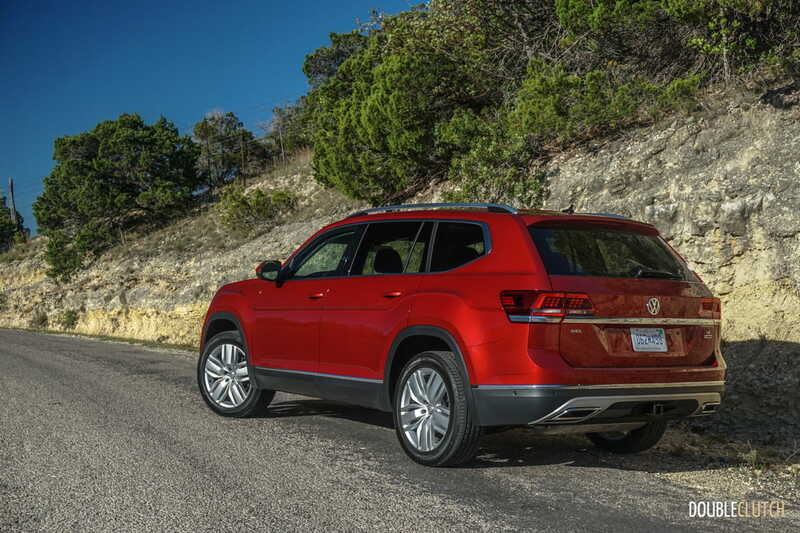 The Atlas is quite a bit bigger than the Touareg, and does nothing to hide it. 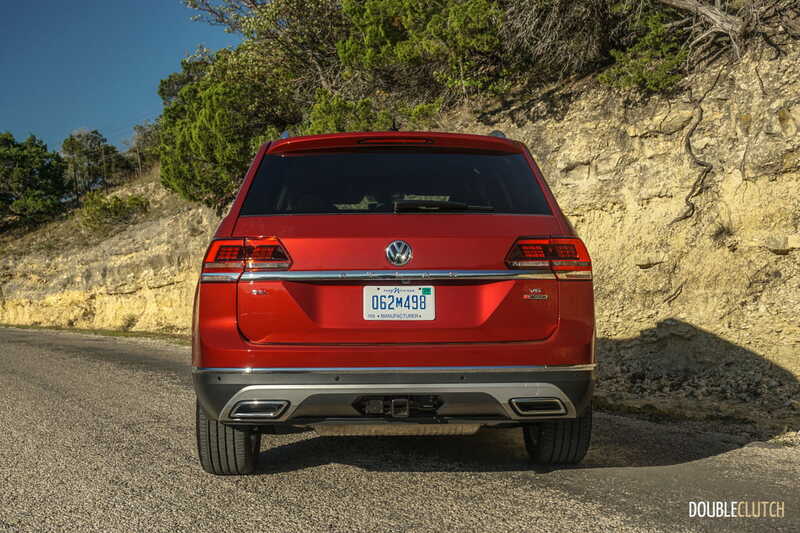 It has a fairly generic two-box crossover design to it, though the fascia (front and rear) are obviously that of a Volkswagen. 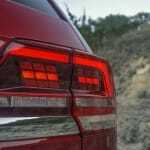 A stylish chrome stripe goes across the trunklid joining the two taillights, and as always, there are neat wheel designs to choose from. 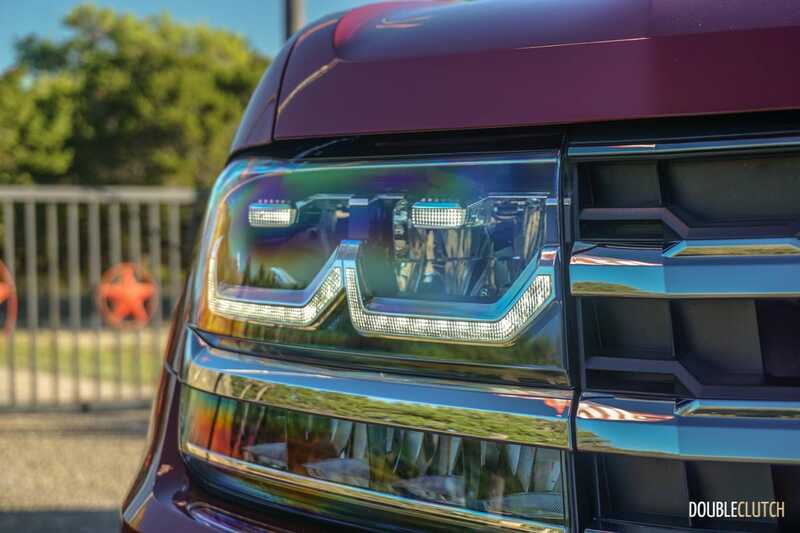 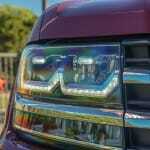 LED headlights are standard across the line. 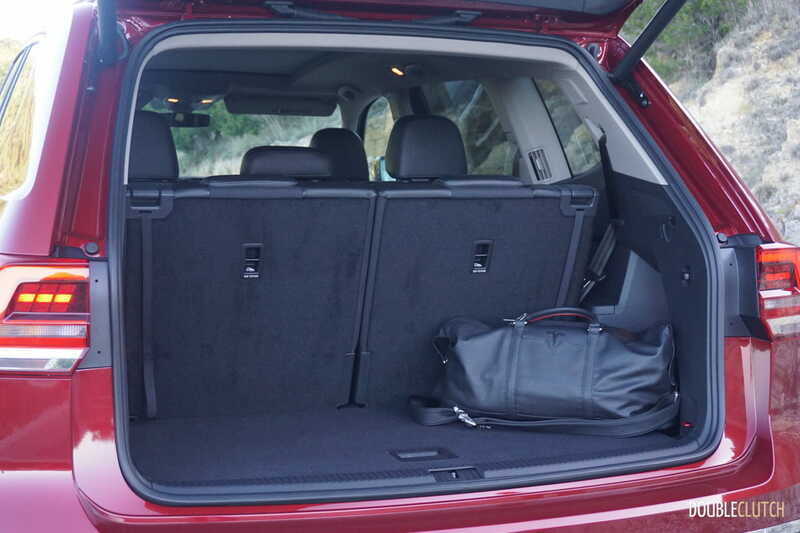 The boxy styling actually looks fairly handsome, though the Atlas is 18cm longer than the Toyota Highlander, which means occupants will be a lot more comfortable and there is more space for luggage. 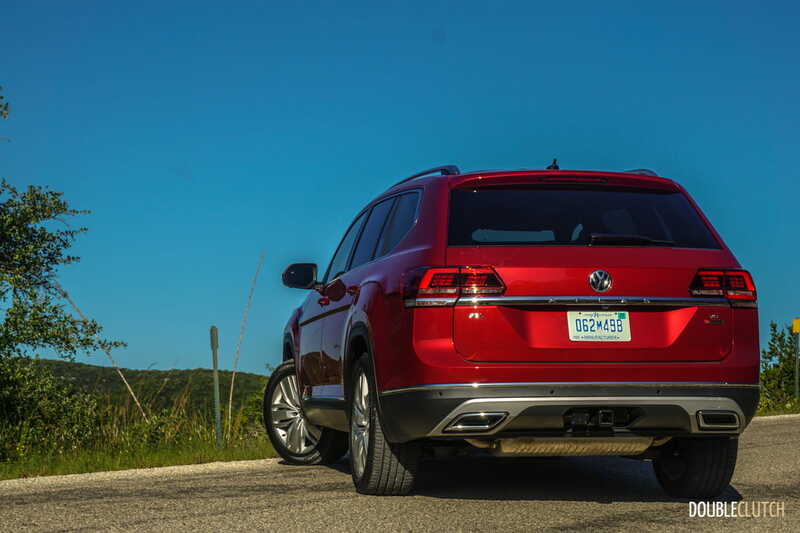 Whereas the Touareg sits on the same platform as the Audi Q7 (reviewed here) and Porsche Cayenne, the Atlas is on an extended version of the MQB platform. 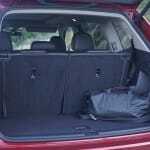 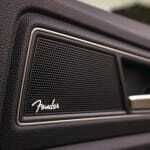 The keen will note that these are the same underpinnings for vehicles like the Audi TT and Volkswagen Golf. 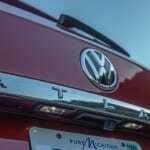 As we’ve seen, MQB is very versatile and is a great overall chassis. 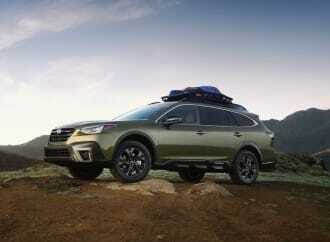 Two powertrains are available, including the EA888-series 2.0L turbocharged inline four-cylinder as the entry-level motor. 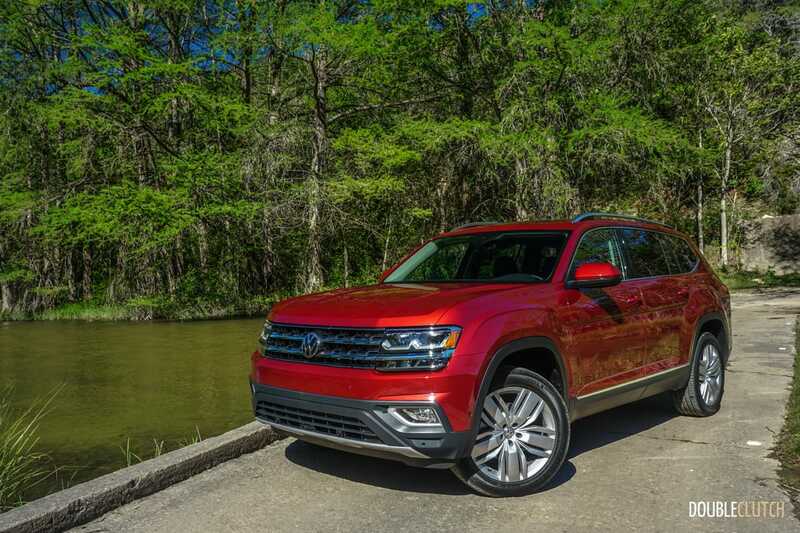 Offering 235 horsepower between 4,500 and 6,200RPM, and 258 lb-ft. of torque between 1,600 and 4,000RPM, this motor is on front-drive models of the Atlas only. 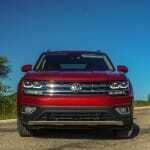 Most buyers in Canada will want all-wheel-drive on their crossover, which is where the 3.6L VR6 engine comes in. 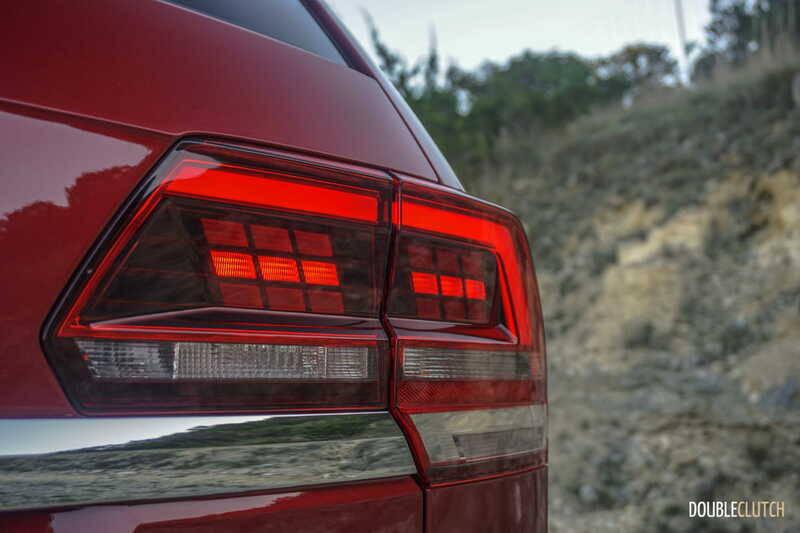 Plus, we imagine the four-cylinder to be a bit sluggish when lugging the big kahuna around. 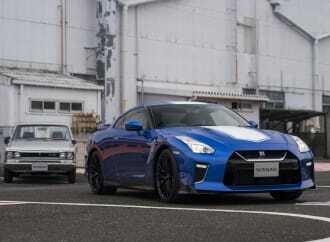 Full disclosure; we did not sample this motor as it’s not available just yet. 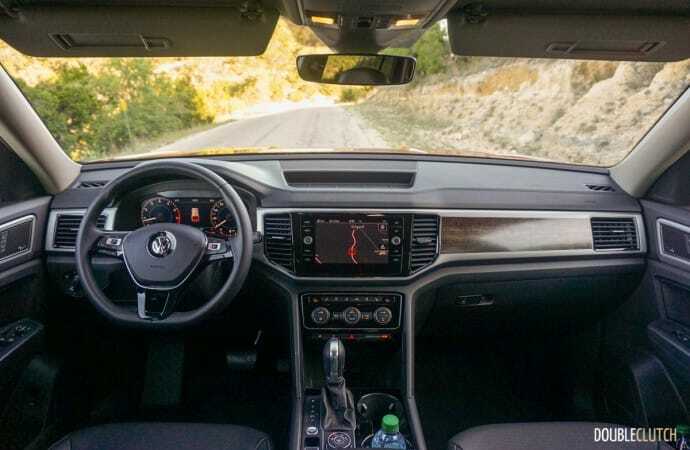 The VR6, along with its signature symphony of engine and exhaust sounds, has a slick powerband and sends 276 horsepower at 6,200RPM and 266 lb-ft. at 2,750RPM to all four wheels. This is the one to have, because the big Volkswagen seems to shrink in size when cruising at highway speeds with this powertrain humming away. 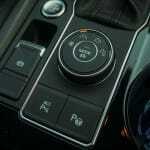 Both engines are paired to an Aisin eight-speed automatic, with a manual mode should you wish to have a little bit more control. 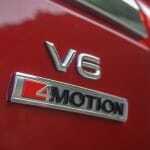 VR6 models have 4MOTION all-wheel-drive as standard equipment, though it functions primarily in front-drive mode unless required. 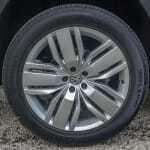 It can, however, send up to 50% of torque to the rear wheels. 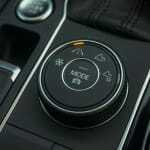 There is an Active Control system which alters the engine, transmission, and steering for desired conditions. 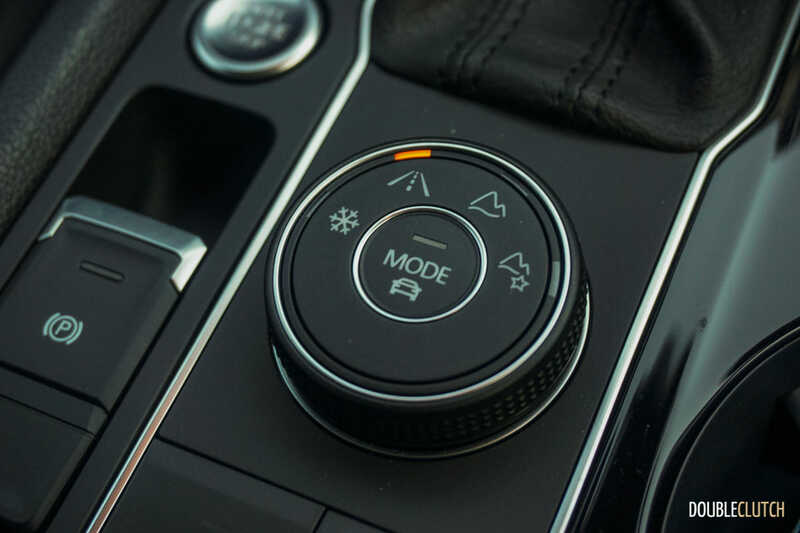 In the “Snow” mode, engine power is reduced if slip is detected. 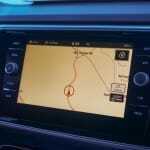 There is an “Offroad” setting for tackling mild trails that adjusts all variables accordingly. 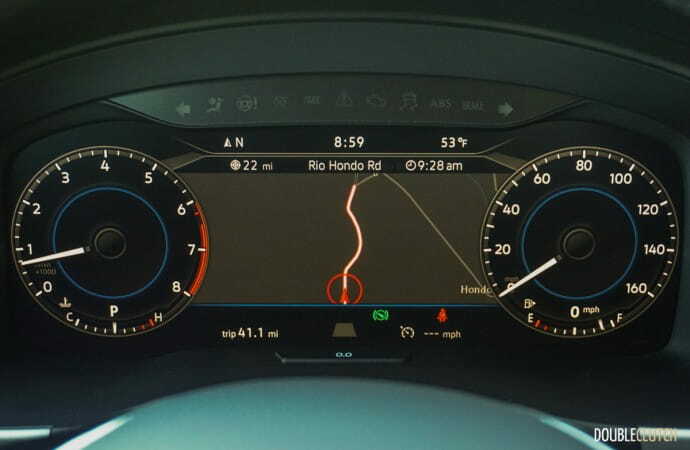 Additionally, the driving profiles can be altered between “Eco”, “Normal”, “Sport”, and “Individual”. 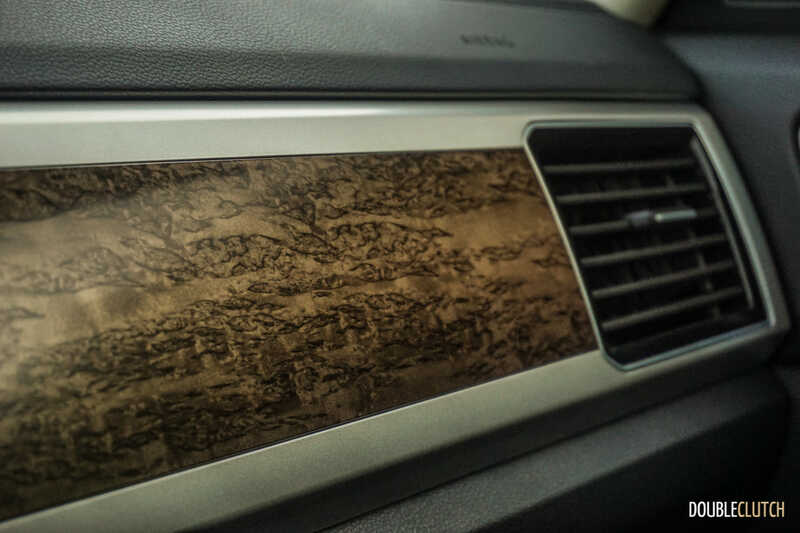 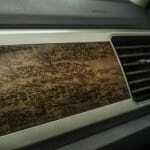 The interior of the Atlas is fairly standard issue for Volkswagen, with use of high quality materials and some faux-wood. 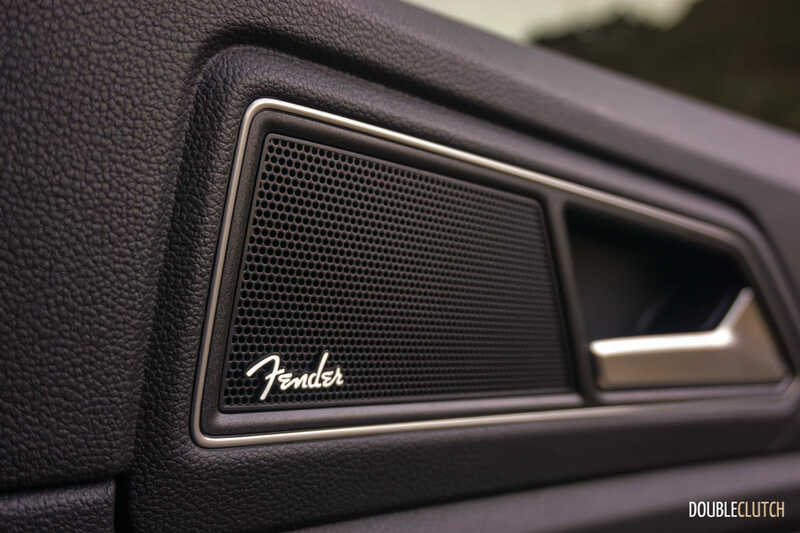 Space within the cabin is extremely generous – this is the main conversation piece here. 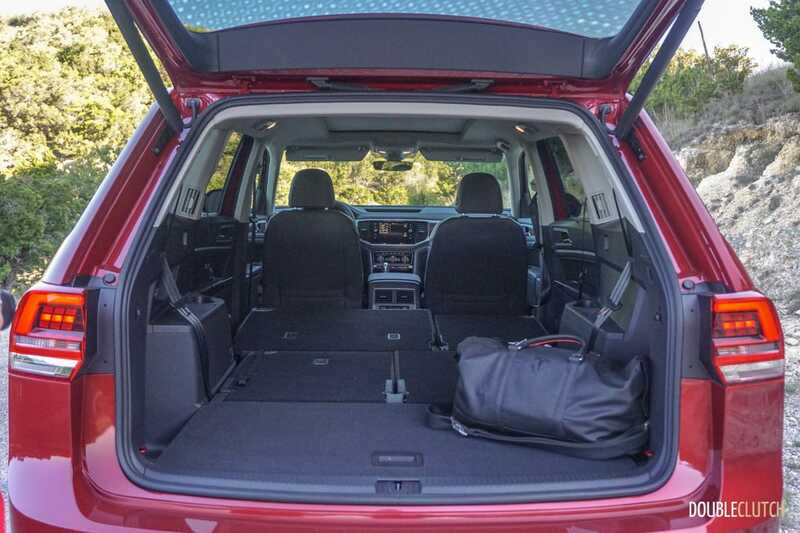 Even those well over six feet will have no problems with head or legroom in the first and second rows, both of which are adjustable. 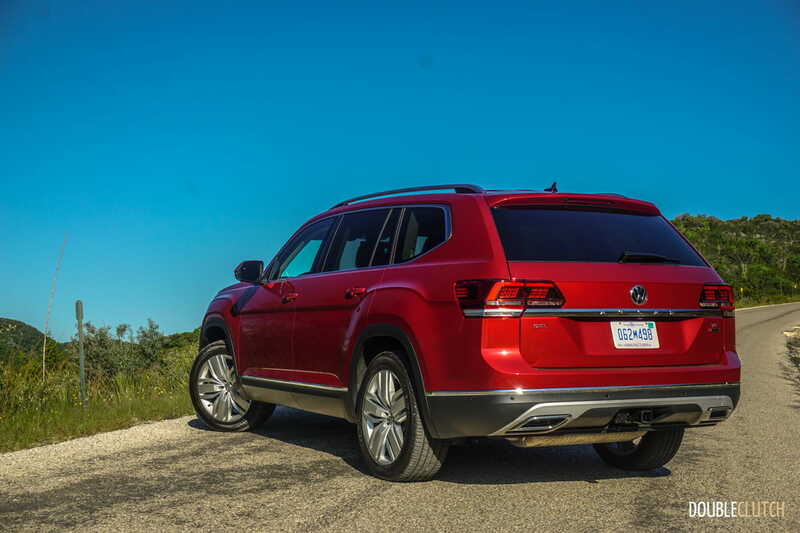 The third row is naturally made for children, but is the roomiest-feeling in the segment, surpassing the Mazda CX-9 (reviewed here) and others. 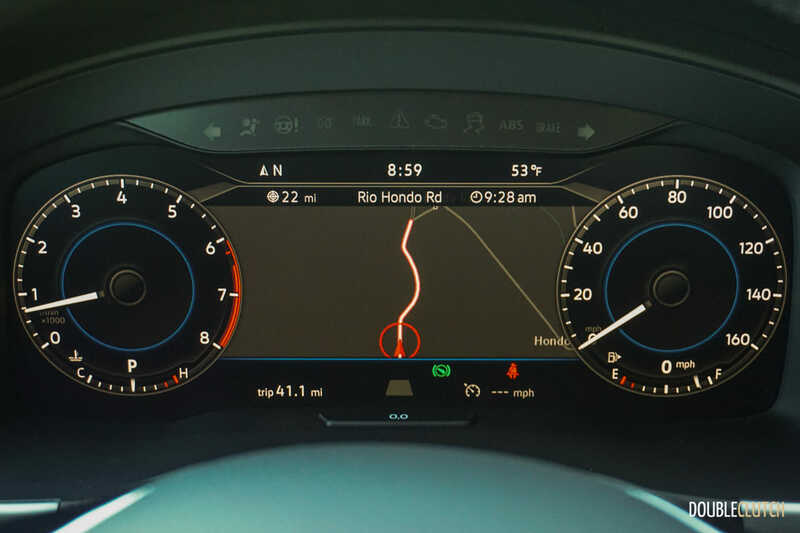 There is an optional Digital Cockpit, which is similar to Audi’s Virtual Cockpit and turns the instrument gauge cluster into a full colour screen. Technology is centered around a 6.5” touchscreen (an 8.0” setup is standard on all but the base Trendline) boasting Volkswagen’s easy-to-use infotainment system. 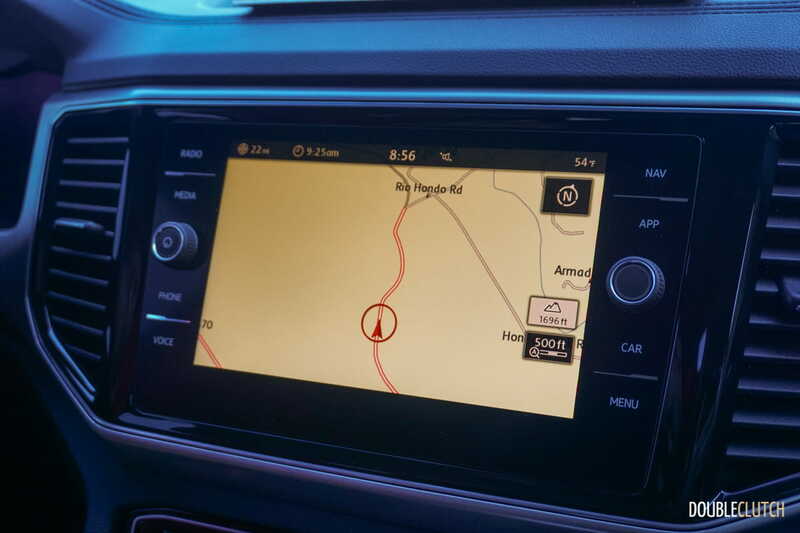 Just like the rest of the lineup, it features plenty of connectivity options including Apple CarPlay and Android Auto. 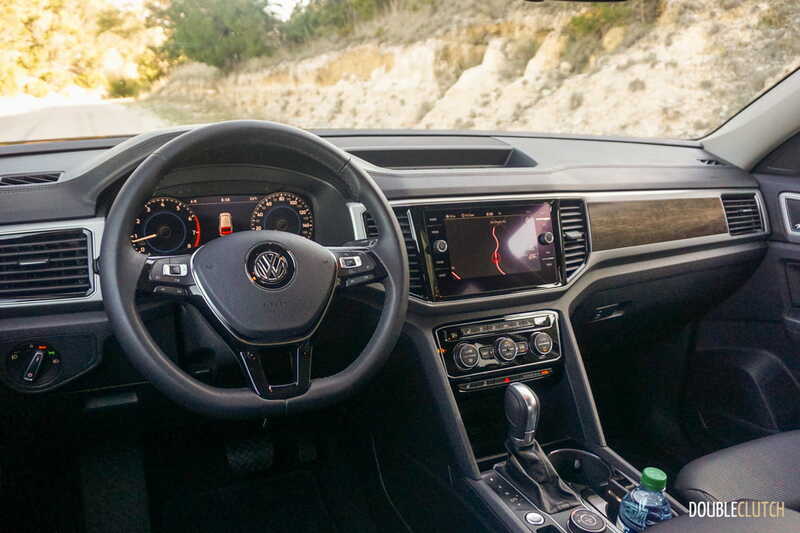 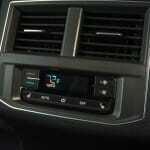 There are regular USB ports to connect your mobile device, though Volkswagen does not offer a WiFi hotspot in this vehicle at launch. 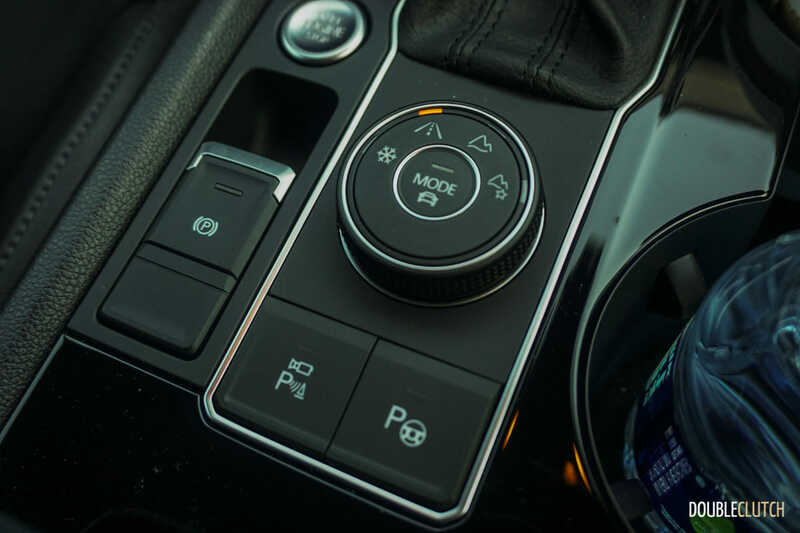 Those who already have a late-model VW in the household will find no surprises inside the Atlas, though there is an added knob for the Active Control mode select. 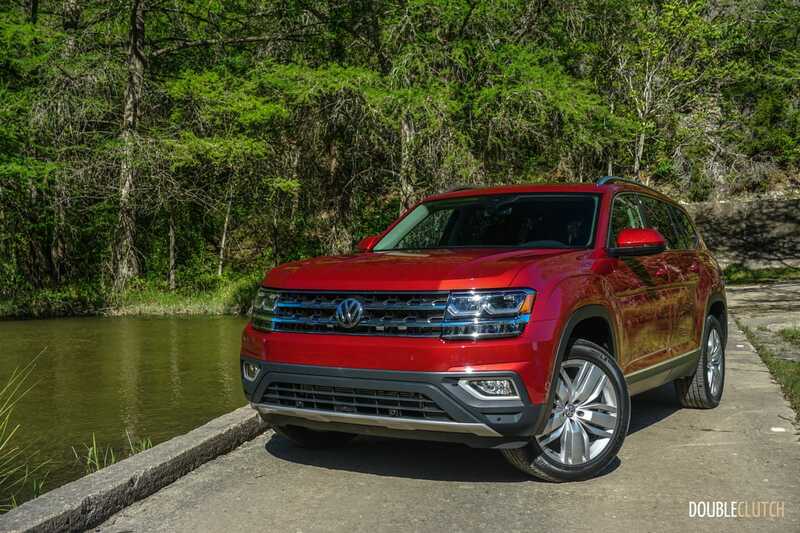 Expected for a sport-utility-vehicle sold these days, Volkswagen sells the Atlas standard with a rear-view camera and automatic post-collision braking. 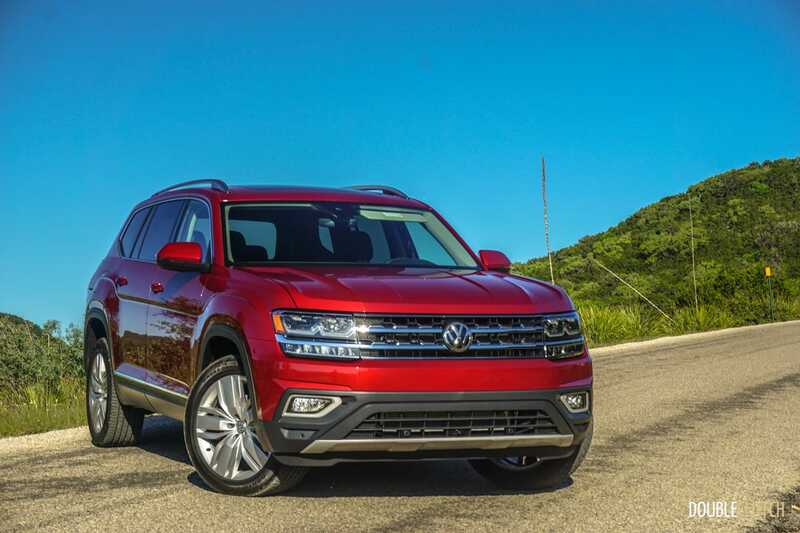 Available safety features (varying by trim level) include blind spot monitoring, adaptive cruise control, lane assist, autonomous emergency braking with pedestrian detection, Park Distance Control (front and rear), and Park Assist with active self-parking. 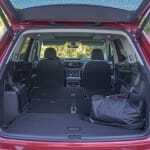 The active Park Assist is particularly neat because it’s able to parallel park as well as forward/reverse perpendicular park on its own. 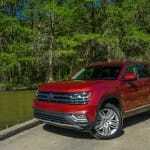 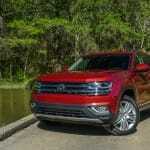 At the time of this writing, Volkswagen has not released fuel consumption numbers for the 2.0L four-cylinder Atlas. 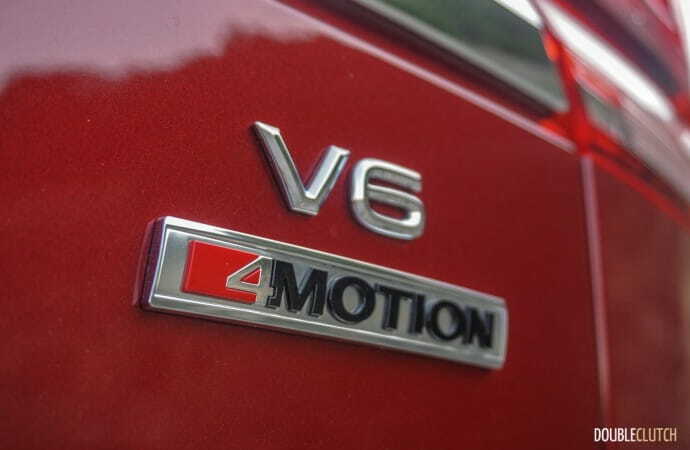 VR6-powered models are rated for 13.1L/100km city and 10.1L/100km highway, for a combined rating of 12.1L/100km. 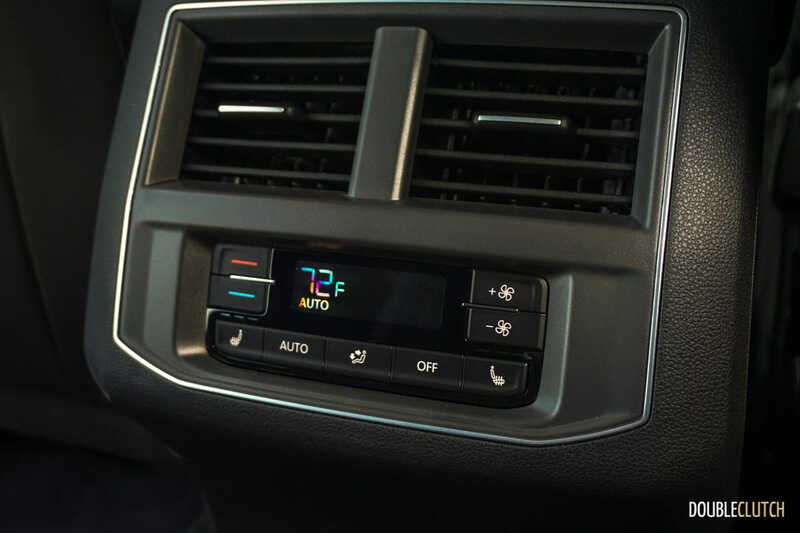 Fuel efficiency is helped considerably thanks to features such as idle start/stop technology, and all models are able to take 87-octane regular fuel. 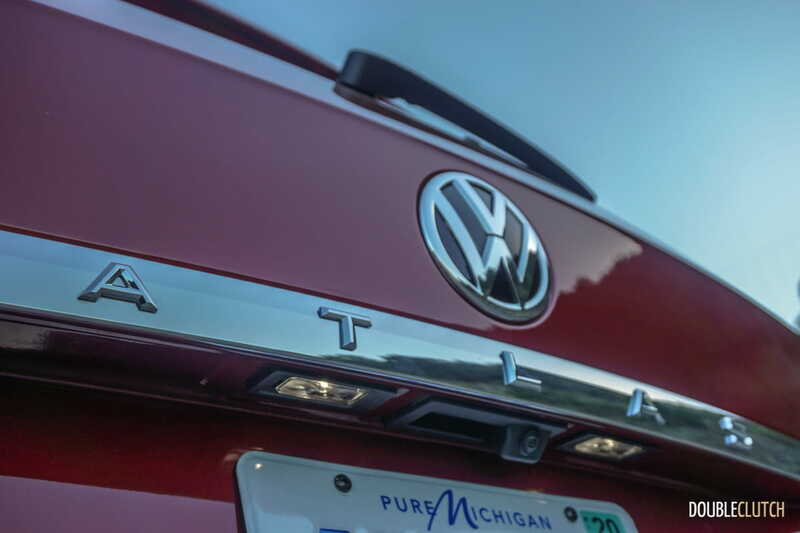 With the factory-installed hitch, the Atlas can tow up to 5,000lbs. 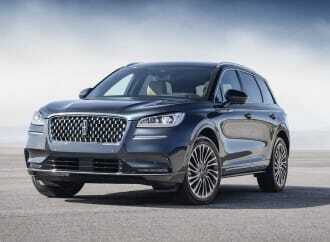 Canadian pricing for the Atlas starts at $35,690 for the front-drive Trendline. 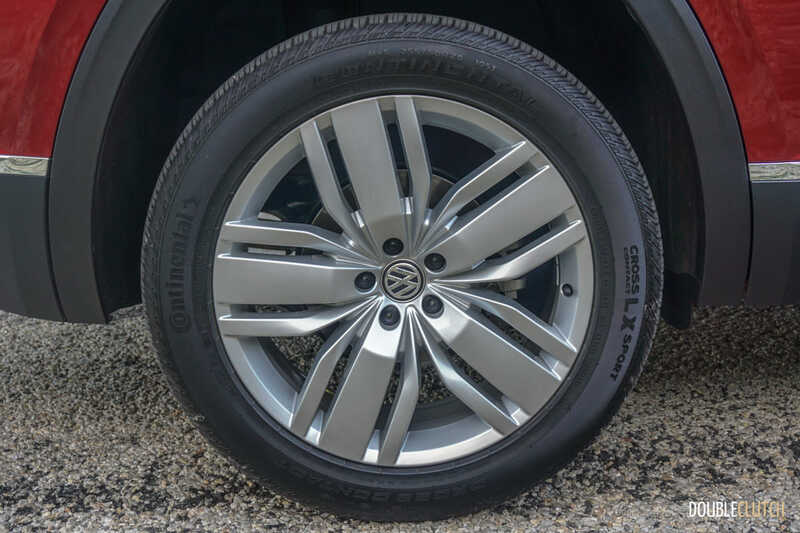 All models come standard with 18” wheels, Bluetooth, rear-view camera, App-Connect, and a series of other features. The VR6 also starts at the Trendline level, at $39,790. 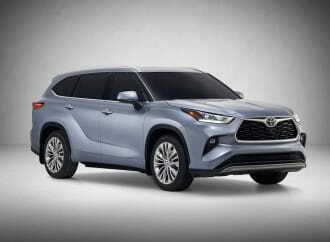 The volume seller in Canada is projected to be the Comfortline ($43,790 with AWD), which adds most of the convenience features Canadians are used to. 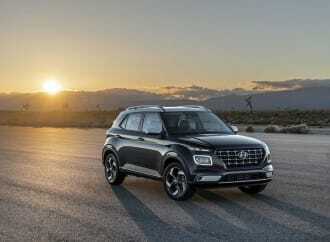 The Highline is next up, and the Atlas line tops out at the $52,540 Execline, which plays against the likes of the GMC Acadia Denali (reviewed here) and Mazda CX-9 Signature. 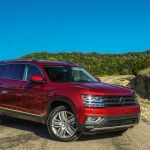 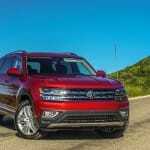 The 2018 Volkswagen Atlas may be a more conservative vehicle overall than the quirky and upscale Touareg, but due to this it will be a much bigger volume seller. The Atlas is far more usable than a Mazda CX-9, better to drive than the Nissan Pathfinder, and right up there with the Honda Pilot for best value in the segment. With interior space surpassing Japanese rivals, modern technology with actual connectivity, and enough ruggedness to venture deep into the dirt roads of cottage country, we can’t wait to start seeing these large Volkswagens beginning to populate our roads.